Dogs who participated in this year’s Iditarod race, the world’s most famous dog sled event, have tested positive for a banned substance, it has been revealed. The committee board of directors for the Iditarod Trail dog sled race confirmed on Wednesday that dogs that had mushed at this year’s race had tested positive for the banned opioid pain reliever Tramadol, the Associated Press reports. The board specified the substance in question after confirming last week that dogs from the same team had returned positive results, following testing at the finish line of the 1,000-mile trek in Alaska in March. It is the first time since testing procedures were introduced in 1994 that dogs have returned positive results for banned substances at the event. Officials have refused to name the musher, reportedly over doubts that they could prove that he deliberately administered the drug. Aaron Burmeister, an Iditarod board member and musher, said Wednesday that as long as the participant remained unnamed, everyone would fall under suspicion. “It’s not a good situation,” he said. “I’m hoping that we can turn a positive light on it and the musher steps forward,” AP reports. 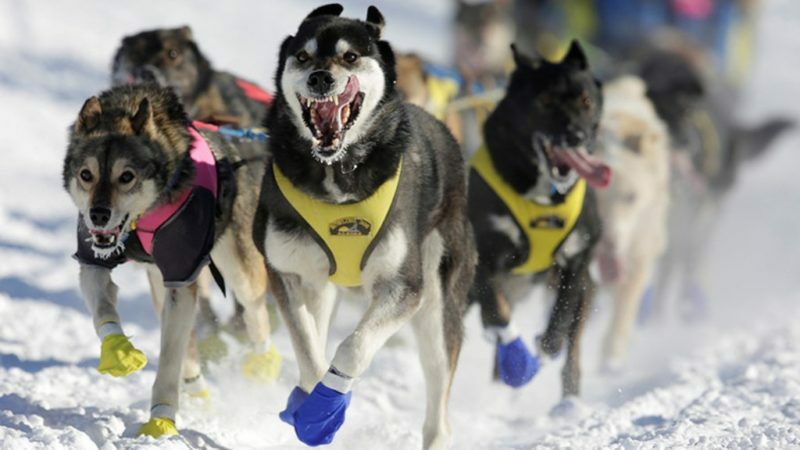 Mushers know that dogs will be subject to random testing during the race as well as at the finish line, and there has been speculation that a fellow competitor may have administered the substance to sabotage a rival’s chances. The Iditarod began in 1973, and takes competitors across arduous Alaskan terrain in sub-zero temperatures and gale-force winds. The teams consist of a musher and 16 high-performance sled dogs. It typically takes between eight and 15 days for competitors to complete the route from Settler’s Bay to Nome on Alaska’s southern Seward Peninsula coast. Musher Burmeister, who missed this year’s race, hopes that the scandal will not detract from the respect people have for the event and its participants, canine and human.